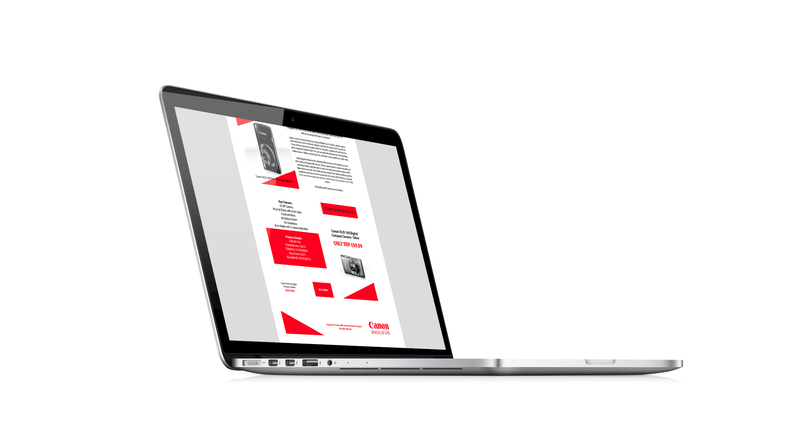 This project was created for the purpose of learning about web banners & e-shots. I used the brand Canon and created an e-shot advertisement advertising their two new cameras. I first created a wire frame of my layout including different sized web banners. 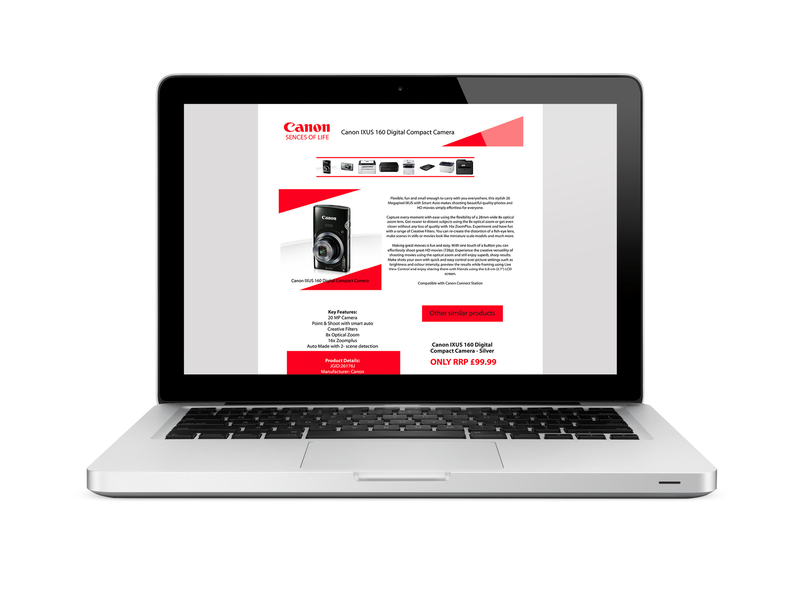 I then gathered the relevant information regarding the products on the Canon website and created a design in Adobe Illustrator & InDesign.